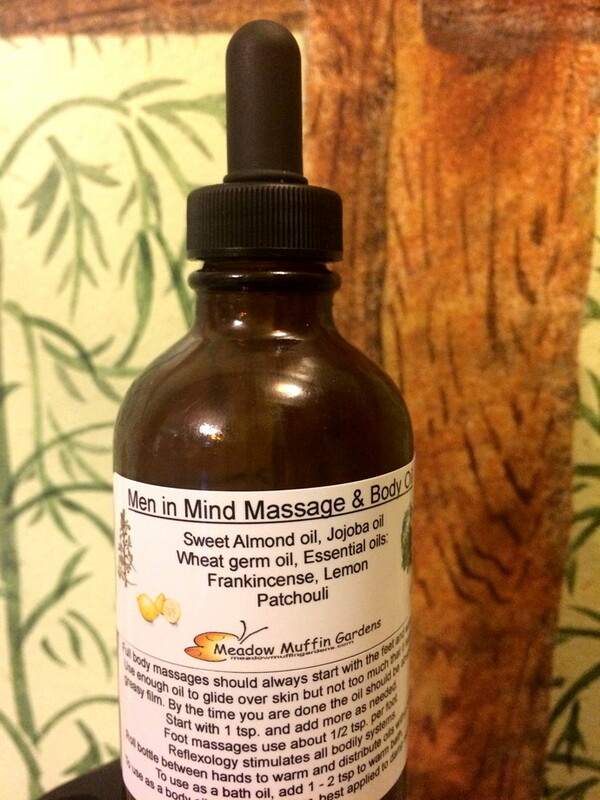 Men love the attention and relaxation of a massage but often do not care for the sweet or flowery blends of scented oils. Here we let it up to you to decide what you prefer. 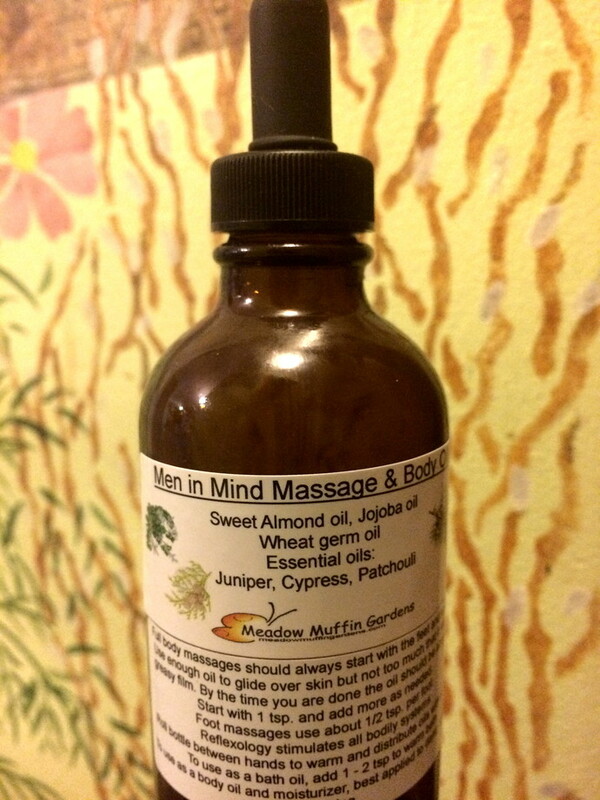 There are five blends from which to choose that utilize plant essential oils that are usually well liked by men. 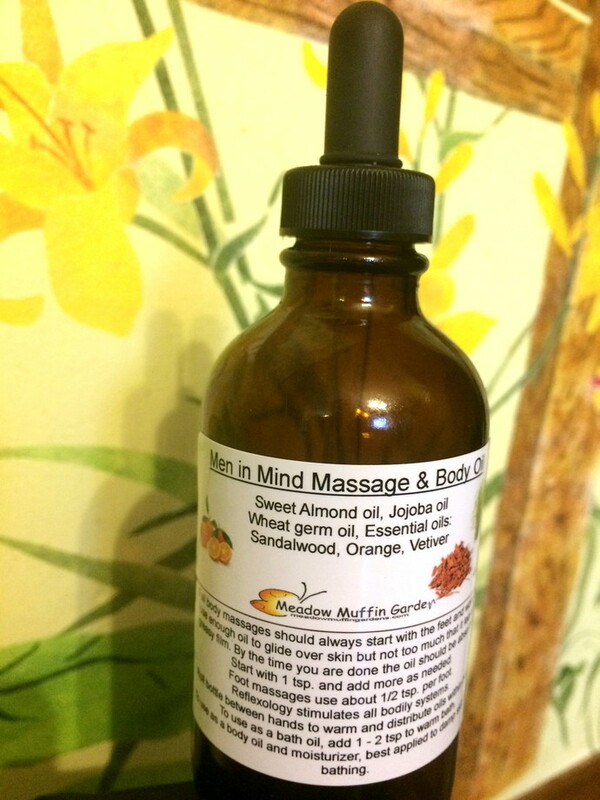 Body oils are for lubricating and nourishing the skin. They can be used as a moisturizer after bathing, before bed or whenever you feel the need to spot treatment dry skin. Combine the oil with the relaxing benefits of touch and you have a massage oil. 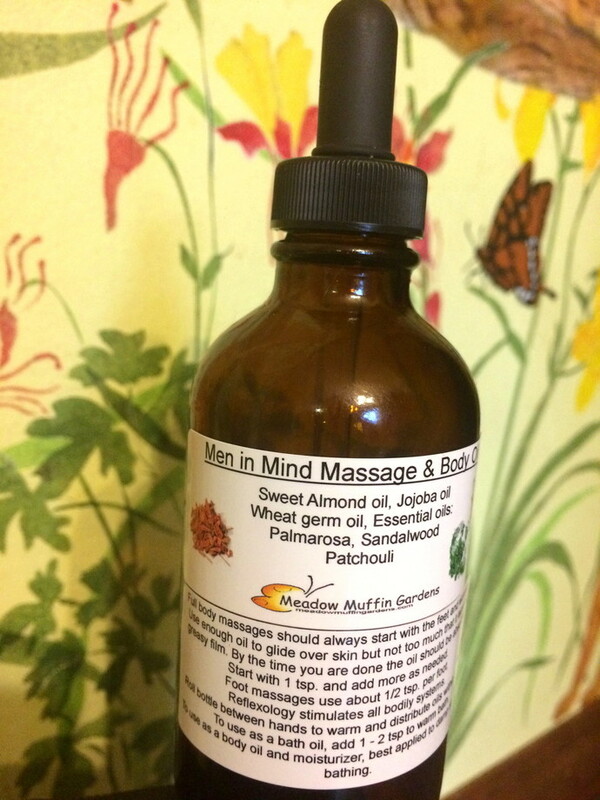 You don't necessarily need another person or a massage therapist to benefit from a massage oil. Whatever area you can reach will appreciate a good deep kneading to relieve knots and tight muscles. Rubbing your own feet can be wonderful after a long day. In fact one of the most effective forms of utilizing essential oils is to apply them to the soles of the feet where they are easily absorbed. For use on the feet as in reflexology or just a good foot massage you will only need a dropper or two (1/2 tsp) amount per foot. For a full back or body massage you may need 2 - 3 tsp. As a body oil for moisturizing, be your own judge how much is needed. Only use enough for a nice glide that absorbs nicely in a timely manner. For best results apply when the skin is slightly damp. Almond oil is very popular for massage oils because it is oily enough to glide easily over the skin, absorbs quickly but not fast enough that you feel you'll need to stop to reach for the dropper bottle. Almond oil is also a very nourishing and gentle oil for the skin. People with nut allergies should be aware that almonds are the source of this oil. Should you need a nut free oil convo me and we'll use another blend. Jojoba oil and Wheat Germ oil are added not only for their skin nourishing qualities but in that they help prolong the shelf life and slow down oxidation. Our skin absorbs essential oils while the carrier oils will remain to soften and moisturize. Don't be surprised if you find the aroma doesn't seem as strong after a period of time. The nose will stop registering as it becomes tired of the stimulation. Essential oil molecules continue to work long after our sense of smell stops detecting them. Should someone else enter the room they would definitely smell the aromatics. Please excuse the missing letters at checkout, only a set number of letters are allowed for the options. 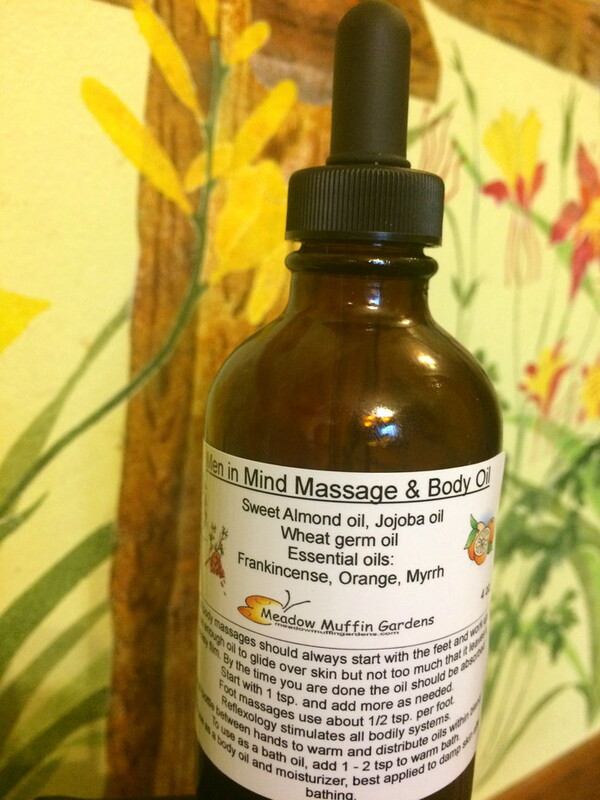 This Massage and Body Oil comes in a 4 oz. amber glass dropper bottle. Should you prefer a screw cap instead of the dropper let me know. Should you prefer a white plastic pump or pop up type bottle let me know.